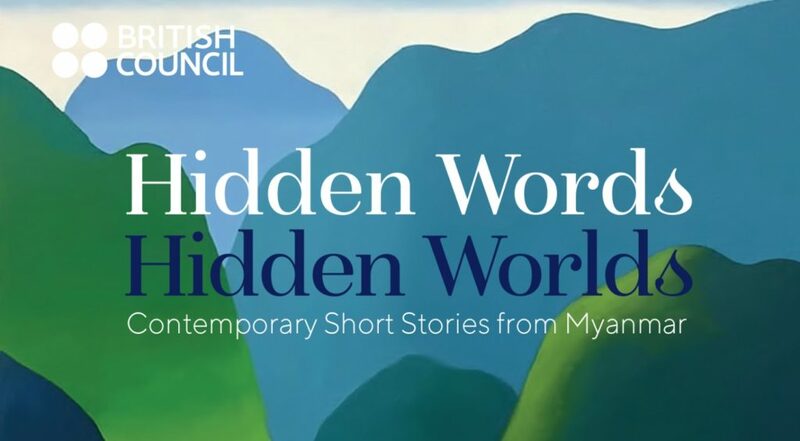 Myanmar: Hidden Voices Revealed is a panel discussion celebrating Burmese contemporary literature to mark the launch of the first anthology of short stories from Myanmar published in English : Hidden Words, Hidden Worlds. This anthology is the culmination of a five year British Council Literature programme in Myanmar which gave voice to Burmese and ethnic writers through short story writing and translation workshops. Writer Letyar Tun, former BBC Media Action producer in Myanmar Fiona Ledger, and Managing Editor of Asian Literary Review Phillip Kim are brought together to discuss these stories which unveil the diverse and complex landscape of people and place that goes beyond the familiar lens of isolation and dictatorship. Letyar Tun (b. 1972) was born in Yangon. He joined the 1988 democratic movement working for the newspaper Nyinyootyay (‘To Unite’) and participating in anti-government demonstrations, before joining the All Burma Student Democratic Front on the Thai/Burma border. He has spent a total of 18 years in prison, 14 on death row. He was released on 19th November 2012 in an amnesty to recognise former President Obama’s visit to Myanmar. Since his release, he has worked in a number of roles for local and international media outlets including Radio France and Fojor Media Institute whilst focusing on his own writing and photography. In 2015 he showcased his photo essay titled “The Transitional Justice”, part of a photography project named “Framing the Transition”, at an international documentary festival in Yangon. In the same year he spoke at the Cooler Lumpur Festival in Malaysia on media freedoms in Myanmar. He is a graduate of the 2015 Link the Wor(l)ds literary translation programme and recently gained a scholarship to study at the inaugural School for Interpretation and Translation in Yangon. Fiona Ledger is a media communications consultant, specializing in the use of sound-rich story telling in unstable, post-conflict landscapes. For two years (2015-2016) she was Executive Editor, Drama, in BBC Media Action’s Myanmar office, launching and managing the popular radio drama The Tea Cup Diaries (La Peya Ta Kweya Diari) – the first social inclusive drama, bringing Buddhist, Muslim and Christian characters into a series of touching and funny stories. She matches 15 years of editorial and programme-making experience in the BBC World Service, with ten years in the field of media for development. She has worked mainly in Africa, and Asia, where under her leadership her Nepali team won two categories in the BBC Global Reith Awards (Team of the Year and Best non-English Programme). She pioneered improvised radio drama, recorded on location, as a means of effecting behaviour change in rural communities. Phillip Kim is a former banker turned writer and literary editor. He lived in Hong Kong for over twenty years before moving to the UK in early 2015. A Korean American, he is a graduate of the University of California at Berkeley. Phillip is currently the Managing Editor of the Asia Literary Review, a periodical that publishes exceptional writing from and about Asia.